Your vehicle’s climate control systems are designed to maintain an comfortable cabin temperature and humidity no matter what the temperature outside. Here in Central and South Florida, we’re well known for our hot summers, so having a car with fully functional air conditioning is key. Working AC keep you cool and comfortable on hot days, and a proper heater system will warm you on cold winter nights. It’s about more than just your comfort! It’s also about your safety, focus, and concentration as a driver. Don’t leave it to chance, and don’t ignore the warning signs! Action Gator Tire has 29 locations throughout the Orlando, Sarasota, Ocala, and Fort Lauderdale, FL areas. If you’re in South or Central Florida, we’re probably right around the corner with expert ASE-certified mechanics ready to inspect, service, and repair your car’s AC or heater. We’ll make sure these complex systems are functioning properly to maintain a pleasant temperature and keep your windshield clear of fog, no matter what the weather outside. Everyone knows that car AC systems cool hot summer air so the inside of the vehicle is comfortable, but there’s actually more to it. Auto air conditioners also force cabin air through a filter to purify it as well as lowering the humidity to reduce that hot, sticky summer feeling. Plus, when you use your defroster to blow condensation off of your windshield, you’re actually activating your car’s AC to cool and dry the air and speed up the defrosting action. That means your car’s AC keeps you comfortable, helps you concentrate and focus on driving, and ensures you can see clearly. At Action Gator, we’ve been inspecting, diagnosing, servicing, and repairing automotive air conditioning systems for more than five decades. Our experienced teams have the in-depth training and state-of-the-art equipment needed to check your car’s AC system, find any issues that might be present, and fix everything for optimal ongoing function. While it’s a great idea to schedule a seasonal AC check in the spring when temperatures turn warmer, there are a number of signs you can recognize that might tell you your air conditioner needs to be fixed. 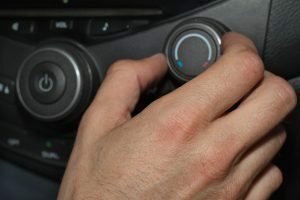 Blowing Warm Air: Obviously, if your car’s AC isn’t cooling the air enough to keep you comfortable on a hot day, there’s a problem. If you’re running your air conditioner at the max level but still feeling hot, just bring your car to your nearest Action Gator Tire location for a fast, affordable diagnostic and consultation. Blowing Condensation or Vapor: Sometimes, automotive air conditioners can be blowing vapor condensation or steam into your car’s cabin. While a bit of this on an especially muggy day could be normal, if the problem doesn’t go away after you deactivate the AC for 10 or 15 minutes, it could indicate a larger problem. If that’s the case, just visit your local Action Gator Tire for assistance. Strange Smells: While it’s normal for your air conditioner to smell a little funny the first time you turn it on in the spring, ongoing foul or musty odors from your AC might mean there’s mold growing inside the system. If your car’s AC smells like mold, don’t hesitate to bring it in for diagnostics and service here at your nearest Action Gator. Weird Noises: Worn out components in your air conditioning system can cause noises ranging from chirps and squeals to banging, rattling, and beyond. If you turn on your car’s AC and hear something that doesn’t sound right, come to Action Gator Tire immediately for service. Compressor Not Kicking On: Your vehicle’s AC system uses a compressor connected to your engine to chill the air. 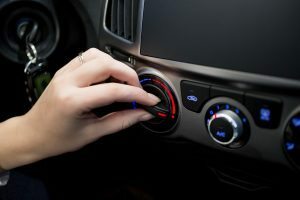 With most cars, if you turn on the air conditioner and listen closely, you’ll hear it activate and possibly even notice a small dip in your engine’s RPMs. This is a normal part of AC function. However, if you switch on your AC and hear absolutely nothing, you’re probably in for a hot ride. Just bring your car to your local Action Gator, and we’ll find and fix your problem fast. Unlike your car’s air conditioner, which takes power from the engine to cool the air, its heater uses the heat that’s naturally produced as your engine runs to warm the inside of your car without taking any extra engine power. It simply blows air through a radiator (heater core) filled with hot engine coolant that has circulated through the engine block and then redirects that heated air into your car’s cabin. Action Gator Tire has offered auto heater inspections, diagnostics, maintenance, and repair services for more than 50 years here in Florida. Our friendly crews have the experience, training, and equipment needed to examine every component of your car’s heating system to identify issues and fix them quickly and affordably. Car heating systems use a number of electrical and mechanical parts to transfer excess heat from the engine into warm air blown into the cabin. Sometimes, the signs of a malfunctioning heater are obvious, such as stains appearing under the dashboard indicating coolant leaks from a corroded heater core or cracks in hoses. Heater problems are often tough to pinpoint, however, so it’s important to take your car to a trusted expert for an in-depth diagnostic. At Action Gator, we’ll inspect your heater core, blower motor, heater control valve, water pump, thermostat, and other related components. We might also check your coolant levels, take a look at your heater control valves, or troubleshoot problems with your blower motor. Once we go over ever part of your heating system, we’ll isolate your issue and then guide you through your options to repair it quickly and economically. No matter what your needs or your problems with your car’s heater, trust our expert mechanics to handle everything with distinction.